If you missed out on the delicious West Coast Bake at The Goods Shed on Saturday 24 March, fear not, you’ve got another chance to sample its goodness in May, along with some other treats. 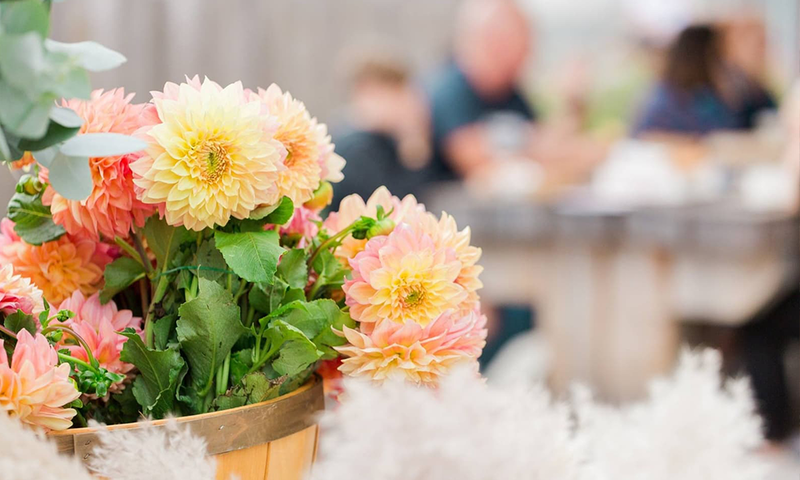 As part of the inaugural Scribblers Festival (9-13 May)’s free Family Program, we’ll be hosting a special Mother’s Day Market on Sunday 13 May. The Mother’s Day Market will open with The Big Breathe, a guided meditation for kids and parents, a Mother’s Day story and song from Whongi storyteller Josie Wowolla Boyle, and of course, there will be coffee, sweet treats and beautiful flowers, thanks to The Goods Shed Coffee Pod, Rochelle Adonis, Mary Street Bakery, The Flour Press, and the Tussie Mussie Flower Cart. There will also be talks and workshops with local and international authors and illustrators – and the highly anticipated Conversation Caravan – hosted by our young podcasters. So, grab a coffee – and a treat – and get hands-on with the kids in the workshops, talks and other activities. Here’s a few snaps from West Coast Bake to give a sneak-peek of what you can look forward to! Want to know what Scribblers Festival is all about? Click here. Download the Scribblers Festival program here, and for the latest updates, subscribe to our enews and follow @scribblersfest on Facebook, Instagram and Twitter.